Mold growth is a common problem in homes and buildings and the extent of the damage is always difficult to tell. Mold can appear literally anywhere where there is moisture, and it commonly uses the materials it grows on as a food source. This can lead to very serious structural damage because the mold growth will continue to devour the affected surfaces until it is thoroughly removed. In addition to the potential property damage, mold causes health issues in those who are exposed to the spores. Mold related symptoms include a wide range of allergic reactions such as nasal congestion, skin irritation, coughing, and itchy eyes and throat as well as serious respiratory problems like asthma and infections in cases of extended exposure. 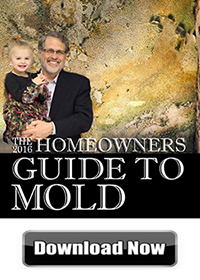 You cannot ignore the appearance of mold in your home or building. The mold will continue to spread by dispersing its spores which will lead to more property damage and an increased risk of health effects. It is very important for you to contact a professional to handle mold remediation if the mold growth covers an area larger than 10 square feet. ServiceMaster NCR provides professional mold remediation and testing for homes and businesses in Mount Vernon, VA that are affected by mold. We provide highly accurate testing with the InstaScope testing system and remove the mold completely with our exclusive Trifect mold removal method. Mold is a constant, natural presence in the air which is why it can form anywhere that provides it with moisture and a food source. Once the mold colonies appear, they are very difficult to remove without the proper methods or equipment. Attempting to clean up mold yourself is likely to make the problem worse because mold disperses its spores when it is disturbed. This will not only lead to mold growth in new areas, but also greatly increase the risk of negative health effects. Our technicians know how to effectively contain mold growth to prevent it from spreading as we work. Mold spores are naturally present everywhere. Mold spores can enter your home or building from the outside through openings or attached to objects. Mold growth will not form unless there is a source of moisture. Short term mold exposure may cause allergic reactions like those described above. Long term mold exposure can lead to respiratory infection, asthma, and other more serious issues. Mold growth will return unless you address the source of the moisture that caused the growth. Mold growth sometimes has a musty smell. If the humidity level in a home is above 45 percent, then it has a much higher risk for mold growth. In order to completely and effectively remove mold growth, the home or building must be thoroughly tested so that all hidden mold can be found and removed as well. ServiceMaster NCR provides mold testing with the InstaScope testing system to uncover all mold growth before the remediation begins. We test the air outside the home or building and use the results for a baseline measurement. We test each area inside the home or building and compare the measurements to the baseline to identify areas with elevated mold levels. We re-test the areas with high mold levels to uncover hidden mold. Once we have located the affected areas with the testing, we will start the mold remediation using our exclusive Trifect mold removal process. The Trifect mold removal method was developed by ServiceMaster NCR to provide an effective, but less invasive and less expensive alternative to traditional mold removal methods. We do not need to remove any drywall or ceilings to remove mold with this method which saves you up to 50 percent of the cost of traditional mold remediation. Surface Application: We apply a proprietary topical solution to surfaces with visible mold growth. MAG 50: We remove unsettled mold spores and hidden mold with our MAG 50 sub-micron disinfectant applications. Testing Verification: We will verify that the mold has been removed effectively by testing your home or building again with the InstaScope testing system. If there is mold in your home or building, it is important that you react immediately to prevent it from spreading further and causing major damage or health problems. 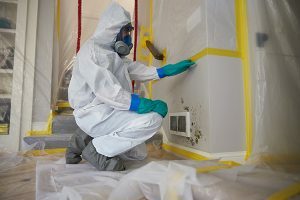 ServiceMaster NCR provides highly effective mold remediation services in Mount Vernon, VA to test for mold in homes and commercial buildings, and remove it with our innovative Trifect mold removal method. We guarantee that we will test for and remove all mold growth without removing your ceiling or drywall. You can call us any time at (703) 212-7000 to learn more about our mold remediation services.